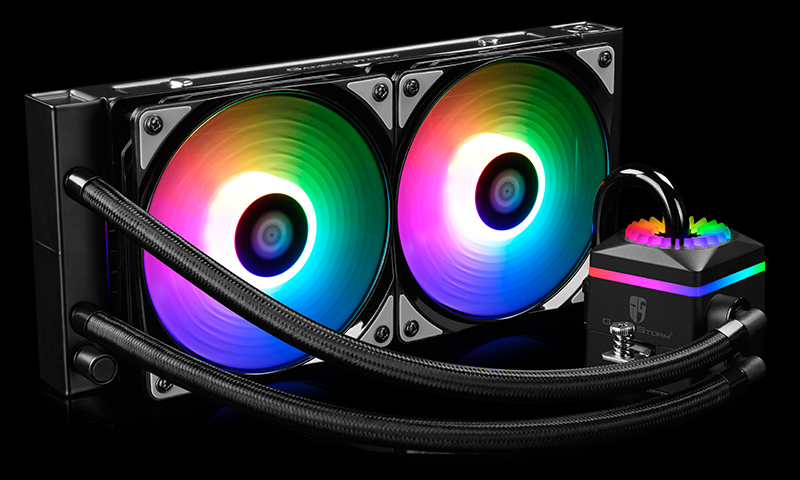 Ever since the birth of CPU liquid cooler, leakage has been an inevitable risk for every user. After years of R&D, Deepcool has finally got the leakage free solution - the Automatic Pressure Relieving Radiator. With this patented technology, any pressure within the circulation system will be released into the air, Captain Pro has no reason to leak. Meanwhile in Captain Pro, the upgraded Addressable RGB lighting system can be either controlled by the included controller or specified motherboard. With the included 6-port hub, RGB syncing is easier than ever! With the patented technology, any pressure within the circulation system will be released into the air, the cooling liquid has no reason to leak. From now on, all your hardware can sit back enjoy their cool life. Either through the SYNC control of the specified motherboard* or included controller, you can modify the lighting effects as you wish. Meanwhile, a brand new 6-port RGB hub is included in Captain Pro, syncing your RGB parts is now easier than ever! Either through the SYNC control of the specified motherboard* or included controller, you can modify the lighting effects as you wish. Meanwhile, a brand new 5-port RGB hub is included in Captain Pro, syncing your RGB parts is now easier than ever! *WS2812B ADD-RGB LED is applied and the below 3pin ADD-RGB Headers are compatible for this device: 5V/D/G and 5V/D/NC/G. Injection-type micro water passages allow the copper contact surface to be fully utilized for heat absorption. Pump powered by three-phase winding motor, providing a continuous driving force. 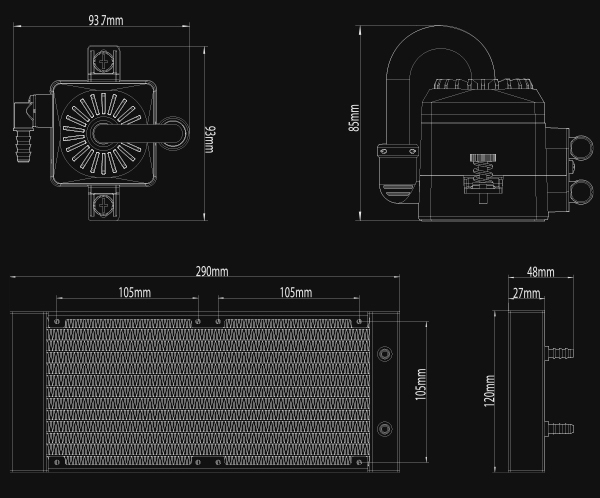 Captain series adopted a unique dual chamber design in an integrally formed water block, where the cool water only flows in one direction to achieve higher circulation efficiency. APAF technology enables Captain Pro to adjust the pressure inside the water circulation system automatically, and thereby ensures stable operation and extended lifetime. ADD RGB on both optimized pump LEDs and CF fans, offering users almost unlimited lighting ambiences. The RGB lighting system is controllable through both the included controller and specified motherboard*. A 6-port RGB hub is included to make your RGB syncing easier. Dual chamber design in an integrally formed water block provides higher circulation efficiency. Pump powered by three-phase winding motor, provides a continuous driving force. Diamond-quality zirconia ceramic bearings and axis effectively isolate operation noise from the water pump as well as provide a longer lifetime.